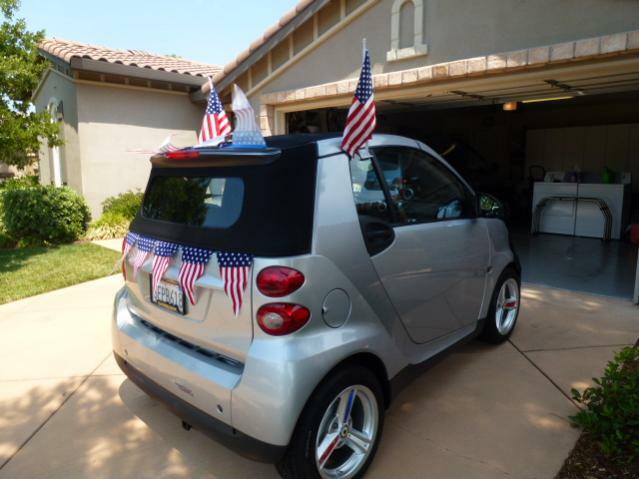 Smart Car Forums > Life Beyond smart > Off-Topic Cafe > Happy 4th! whoadale, adele2cats and Arthur Lattanzi like this. TomLeeM and Arthur Lattanzi like this. Can't wait to leave for the nationals! Happy Fourth of July ! Happy Birthday America. I hope everyone had a good and fun Independence day. We participated in a 4th of July parade in our community of Bevil Oaks. About a 2 mile long route w/lots of people watching from their yards.. Lot's of smiles and picture taking. Bump for this year - happy July 4th for 2016! The Pursuit of Happiness... in a smart car! jwight, whoadale and DreamCarOwner like this. Happy 4th of July for 2017! Smart Bob, jkjahobbs and stevenjb like this. jwight and Jo e Lefors like this.